It seems that coffee cannot get a break. This may be due to its ubiquitous presence in the world as one of the most highly-consumed beverages (after water and in constant competition with tea and beer) thus making it a pretty easy target. Or it may be due to the rise of gourmet and specialty coffees which, when all is said-done-added-swirled-caramelized-frappéd-dipped and whipped, resembles very little the original ‘Cup O’ Joe” that was consumed up until 20 years ago. Either way, it may be time, due to solid evidence and much information on healthy practices, to give this ‘energy elixir’ a well-deserved reprieve. Coffee, and its many permutations may be an excellent addition to one’s dietary habits or prove to be the proverbial ‘simian’ draped across one’s Trapezius muscles. 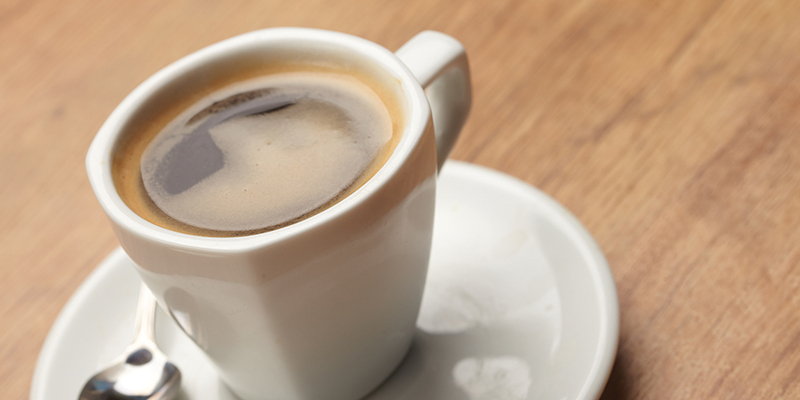 It is not uncommon to read two very different studies on coffee published on the same day. One, for example, extolling the virtues of coffee and its antioxidant properties, which are compounds that reduce free radical damage to our cells. And another study that demonstrates that individuals that consume four or more cups of coffee a day have higher rates of “all-cause” mortality. This information can be very discomfiting, or reassuring depending on your caffeine proclivities, and this confusion does a disservice to the consumer of both coffee products and science. Owing to this schizophrenic media Hydra, we are left up to our own devices, usually appetite driven, to decide what the best approach to making the healthiest choice is. • Keep it simple! Stick to less exotic iterations of coffee to reduce the caloric load and increase the amount of antioxidants per cup. Some coffee creations can have up to 1,000 calories per 16 ounces. • Consume less than four cups (or 400 milligrams) of coffee daily. This is especially important as more than four cups can lead to insomnia, agitation, mood disorders, and erratic behaviors in many individuals. • There are many conditions where coffee consumption is inadvisable. Seek your doctor’s advice for a list of these conditions and remain judicious in your daily consumption patterns. • If coffee wakes you up in the morning but allows you sleep restfully at night, drink away! • If you cannot wake up without it, cut back! • Do not be averse to asking yourself why you are drinking it, even on a regular basis. Introspection leads to “Temet Nosce” (knowing oneself)! Enjoy your daily coffee grind if you are one of that special breed wherein coffee is nothing but beneficial. These people tend to have lower rates of Type 2 diabetes, Parkinson’s, and depression in addition to experiencing brain stimulation that keeps them sharp, engaged, and productive. Clark’s Nutrition and Natural Foods market has a variety of organic and free-trade blends that can assist any individual to carpe diem. As always, have a healthful day!